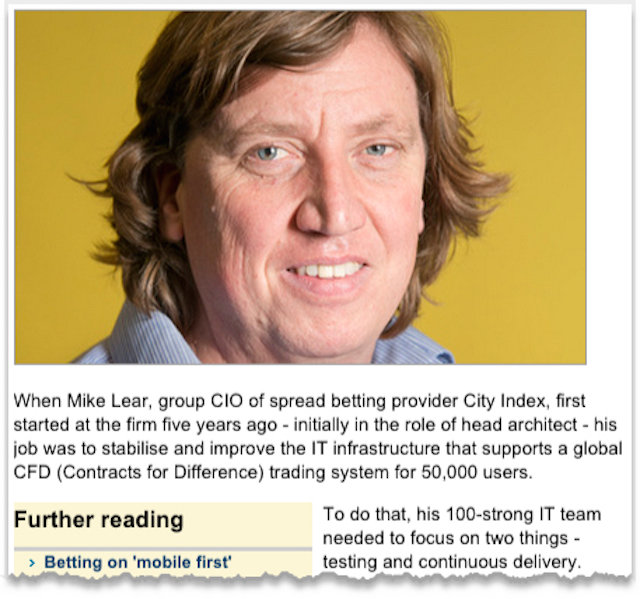 I came across a great interview by Danny Palmer at Computing, with Mike Lear the CIO of City Index, which provides spread betting services to tens of thousands of financial markets traders. Faster delivery of apps is key in the competitive market for financial data that City Index provides but so is data accuracy. Testing is extremely important especially since customers can complain to government regulators. 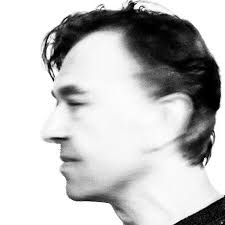 Lear needed his developers to be able to self-serve their own data in controlled areas, and he needed to speed up the checking of the integrity of the datasets, which required IT specialists and could take several hours each time — a serious bottleneck. When he discovered Delphix offered a solution to his problems he was surprised. "It was something we didn't know existed," says Lear. "We weren't particularly looking for something which did what Delphix did, because we weren't aware something could do that as it's innovative technology." That's the challenge all innovative technologies face: companies don't go looking for them because they don't believe they exist. Or, if they come across them, they don't believe they can do what they do! It used to be said that the world will beat a path to your door for a better mousetrap. But we know that's not true. Innovation means having to have to beat a new path to the world, time and time again.